"Slugs 1896" by L. E. Adams - Adams, L.E. 1896. The collector’s manual of British land and freshwater shells. Second Edition. Taylor, Leeds. 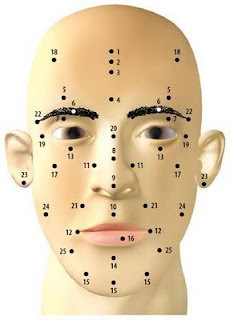 File is from http://delta-intkey.com/britmo/images/adams01.jpg. Licensed under Public Domain via Wikimedia Commons - http://commons.wikimedia.org/wiki/File:Slugs_1896.png#/media/File:Slugs_1896.png. 1. There are many kinds of slugs. There are even jumping slugs! 2. Slugs and snails are classified as gastropods. They are more similar to clams and mussels than to other common garden pests such as insects. 3. The name means ‘stomach foot’. Some other kinds of gastropods are snails and conches. 4. Mollusks have been on the earth for millions of years and have not changed very much in all that time. 5. Most of its body is called the foot. Muscles in the foot help the slug move. The body part sitting on top of the foot is called the mantle. On the right side of the mantle, a hole leads to the slug’s lung. 6. Slugs have four tentacles. The top two tentacles have tiny eyes at each end. The bottom two tentacles are used for feeling and smelling. 7. A slug’s mouth is on the underside of its body. Slugs use their radula, which is like a tongue, to eat. The radula is covered with thousands of tiny denticles. These are kind of like teeth. 8. Slugs secrete a slimy substance whenever they crawl. The slime makes it easier for them to move and protects them from sharp rocks, twigs and other objects in their path. 9. A slug could crawl over an upright razor blade and not be cut. 10. Slugs mostly rely on their sense of smell to find their way around. 11. They can use their slimy trails to guide them back to their tunnels. When the slime trails dry, they turn into silver tracks. 12. Some slugs have shells, but they are hidden under the mantle. 13. Slugs are invertebrates, which means that they don’t have a backbone. In fact, they don’t have bones at all. thousands of tiny protrusions that help them grind up their food. 15. Slugs lay eggs on the surface of the soil, under leaves. The eggs can survive for several years, until the conditions are right for them to hatch. 16. Most of a slug’s body is the huge muscle that is the foot. It creeps along by contracting a series of muscles on the underside of the body (making a wave that goes from the back end to the front). 17. Slugs are hermaphrodites, which means that they have both male and female organs and can fertilize their own eggs. 18. The biggest slug in the United States is the Banana Slug; it can grow to be nearly a foot long! 19. Slugs can absorb oxygen directly from the atmosphere in addition to breathing through the respiratory pore. 20. Slugs don’t really like hot weather so they are more active in the spring and the fall. 21. Slugs are very sensitive and will dehydrate and die if caught in gusty weather. 22. Depending on the species, slugs live from one to six years. Older slugs are usually female. 23. Because they could easily dry out, slugs remain where it is cool and damp during the day. They come out at night to forage for food. They usually eat leaves and often visit gardens. Take a flashlight some evening and look for them after sunset. 24. There are many species of these mollusks, but only a few present a serious problem. 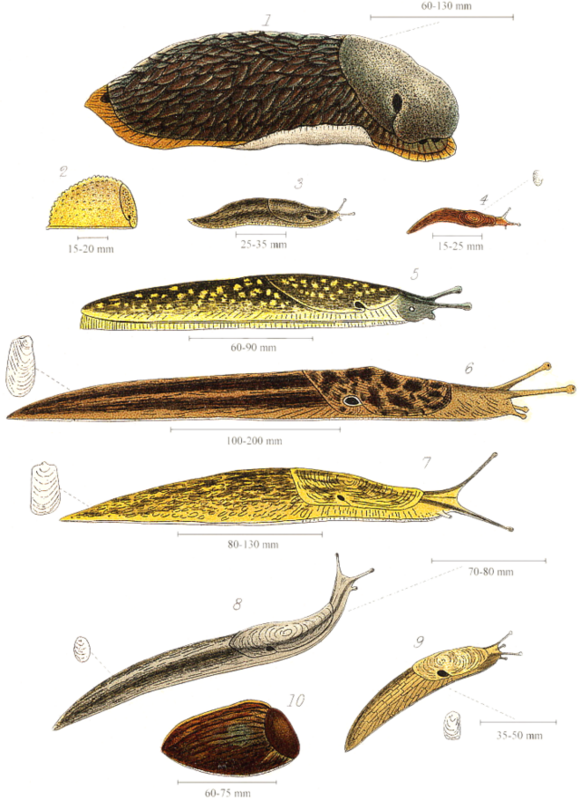 Some of these are the gray garden slug, Deroceras reticulatum, the tawny garden slug, Limax favus, the spotted garden slug, Limax maximus, and the brown garden snail, Helix aspersa. 26. Salt is harmful to all slugs.